My coworker, J.D. Pohlman, is giving away a television. 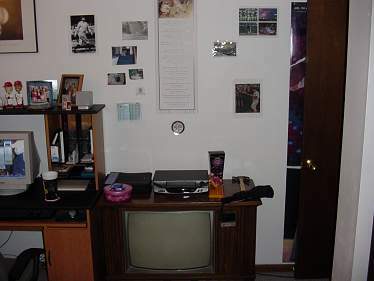 It's a 25 inch console TV circa 1981. It still works and the picture is good. If any one is interested check the link to his site and email him. Here is a picture. Note that the messy apartment is not included. Reminder, please spay or neuter your electronics.